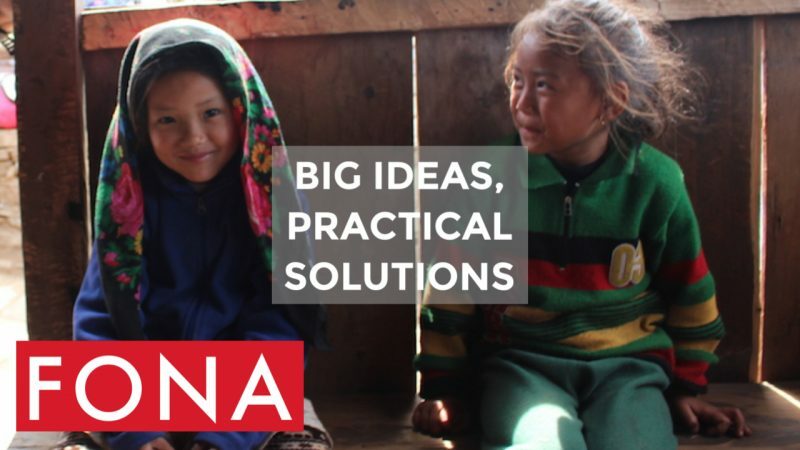 At FONA we connect the right people together to challenge established thinking, drive transformation and provide innovation. We work with partners to build the capabilities that enable communities to achieve sustainable advantage. Angelica is an architect specialising in sustainable and regenerative design. She is leading the design of FONA's first Education Centre of Excellence and brings a wealth of experience in design practice including local and international environments. She is currently doing a Ph.D that explores the role the architectural design process can play in creating positive social and ecological impacts. She is the Co-Coordinator of the subject Regenerating Sustainability at the University of Melbourne and the Creative Director of IncluDesign. Angelica shares FONA's vision to assist people build capacity and focus on their strengths. She is passionate about collaborating with a variety of experts from many fields on the Education Centre. Dominique received a science degree from Melbourne University and followed this with a graduate diploma in Cleaner Production and a Doctorate in 2005 at RMIT University, Melbourne. Her continued research centres on how to create a built environment that is beneficial for people and the nature they are a part of. She has published the award-winning book 'Designing for Hope: Pathways to Regenerative Sustainability', co-authored with Professor Chrisna du Plessis. Dominique is a key member of the collaborative design process for the Education Centre of Excellence at Purano Jhangajholi. Her other works include 'Facilitating Green Building: turning observation into practice' and in 2015 she co-authored the journal article 'Planning Healthy, Liveable and Sustainable Cities: how can indicators inform policy?'. Cristina is a trained biologist and design expert, and co-founder and Head of Biodiversity Sensitive Design at Biourbem in Melbourne, Australia. Her work focuses bringing people and nature closer together. Combined with her qualifications within the field of ecology, she has extensive experience within Landscape Designer and Participatory Design. Cristina was an active participant in the “think tank” held for the Education Centre of Excellence and Biourbem contributed innovative natural, renewable solutions with solar for energy, water harvesting, and a biogas sanitation system for the Education Centre at Purano Jhangaholi. Ash is a design and developmental consultant with over ten years’ experience spanning the areas of wellness, leadership and sustainability. He is an Associate of the University of Melbourne’s Thrive Research Hub and is a past Fellow of the Centre for Sustainability Leadership. He holds a Master of Applied Positive Psychology and a Bachelor of Engineering from the University of Melbourne, giving him unique insights into wellness and sustainable design. Ash has partnered with FONA on the Education Centre of Excellence at Purano Jhangoholi. He was a key collaborator in the workshop process and has shared his Benefit Mindset model with FONA, which we have adopted as a key tenet of our projects.